Broyhill Furniture Reviews 2019 - American Founded, American Made! Broyhill produce trendy furniture for the home which is stylish and durable. They follow and stay ahead of the latest fashions so they can bring you all the latest trends. Broyhill are one of the oldest furniture companies around but have shown they understand the modern family home, bringing all the latest modern comforts and features into their products. In this Broyhill furniture reviews guide we will go over Broyhill furniture history, their values, the types of furniture they produce, and their warranty information! Broyhill is an American family business. Started by James Edgar Broyhill and his brother as Lenoir furniture they crafted furniture that proved incredibly popular. In 1937 they consolidated as Broyhill Limited and began rapid expansion. Broyhill produce all of their products within the U.S and don’t outsource any of their products to the far East. For over 100 years they’ve been creating home solutions that benefit homeowners across America. Broyhill believe that value never goes out of style. They aim to bring you the best furniture with superior craftsmanship, innovation and investment in their people. Broyhill have made themselves a well known brand and can be seen in homes all across the country. 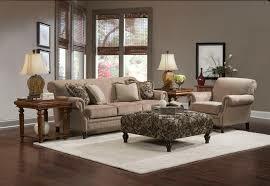 Broyhill are a part of the Heritage Home Group. This is a group of furniture manufactures who have come together to give an unparalleled selection of products to choose from. There are rigorous checks to ensure all of the products are up to a high standard, giving you greater peace of mind with your home furniture. Broyhill produce furniture for the whole home. They have collections for living room, dining room, home office, bedroom, entertainment and kid’s pieces. They have an extensive range of upholstery and living room furniture, which includes a range of seating options and storage solutions. Broyhill specialise in equipping your living room with everything you need so it looks stylish and is practical for a modern home. Broyhill believe in applying high standards to every single unit. With their long history they bring a wealth of expertise that goes into each of their products. All of their furniture is handmade in the U.S.A by skilled workers that are trained by Broyhill. The multi step finish process is applied to each of their wooden pieces. This is designed to give a more refined look and add a touch of quality to your furniture. It also protects the wood from wear and tear that comes with usage. All Broyhill furniture has cut to fit wood which is sealed to the panels. This makes the units sturdier and more durable, even after many years of use. To give even greater stability Broyhill have chosen not to use staples like a lot of other brands. Instead they attach corner blocks and screws which make the units very sturdy. English Dovetailing is used for the drawers, this allows for more storage and longer lasting drawers. If you are interested in dovetails, Vaughan Bassett furniture has great dovetails as well. The drawers are available with either metal slide guides (with ball bearings) or waxed wood on wooden glides. These give a smooth and quiet close to the units and ensure the closing mechanism doesn’t wear out. Broyhill furniture passes all industry standard tests against tipping to ensure they are safe in your home. This is really important for those with young children and means you can be assured the furniture won’t fall over. All of these elements mean that Broyhill produce well made furniture that is reliable. The American craftsmanship that went into each unit 100 years ago is still seen today and the application of modern techniques and materials only adds to the furniture. For each you’ll have a range of choices from style to colour. Broyhill have over 30 different collections to choose from, each with unique design choices making them suitable for any home. The collections are divided so their are different pieces for different homes. Traditional, modern, transitional and contemporary furniture is available and lets you match existing decoration to your seating. Once you’ve selected the style, shape and size of your sofa you’ll be able to choose from a range of materials. Choose from over 500 different fabrics, each with unique colouring and a different feel depending on your personal preference. 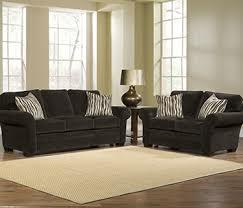 Broyhill offer a range of leather sofas and chairs. These give a different look every time depending on the rubs and offer a soft touch but durable protection. For more active families you’ll want a thicker leather to survive the wear and tear. This is something that Benchcraft has tried to replicate, but hasn't quite hit the mark with yet. With some of Broyhill’s chairs there is are different motion options available. Choose from swivel, reclining and lift depending on which works best for you. This is where comfort meets modern furniture technology and allows for maximum comfort and relaxation. Broyhill furniture is all about personality and choice. The different colours, styles and collections of offer will be suitable for any home, but within each you have many other choices to personalise it completely. Broyhill have an online customisation tool on their website where you can play around with the options and see what you like. Even though you can’t buy from them directly it’s still a useful tool before you visit your local dealership. 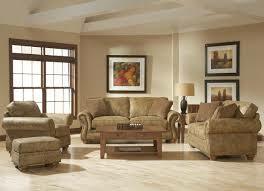 Broyhill living room furniture is varied, stylish and definitely can add value to your home. With all the choices available the best bet is to go to your local dealer and see, touch and experience the Broyhill furniture before making any decisions. I have bought quite a few pieces of Broyhill furniture before, some that I had for 8-10 years and sold (they looked almost new!) and just bought an Armoire from them as well! I have been very pleased with their quality and have not had any issues either their upholstery pieces or their wooden pieces! 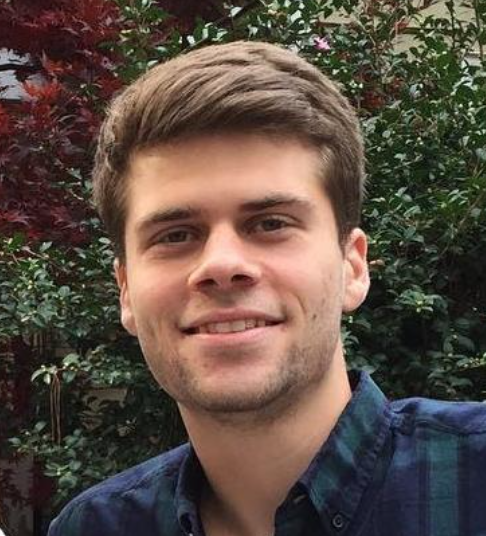 “The furniture companies do a good job of making a piece look nice in the showroom, but whether or not a piece will hold up over time is largely determined by materials and construction methods” - Danny P.
It’s always worth checking exactly which materials will be used in your products and then double checking upon arrival to make sure it’s correct. While using plywood in the construction process is standard, you want the key elements to be made of hardwood. This will make them sturdier and stand the test of time, effectively adding more value to your home. All in all Broyhill seem to be making some solid furniture. They care about the craftsmanship they put in and are always looking to improve. To avoid any problems be sure you understand your warranty correctly and double check all units upon delivery. Broyhill cover all of their products with a warranty that protects them from material defects and workmanship errors. The labour for each element within the products is covered for 1 year, with most of the parts covered for 5 years. The mechanisms are covered for the lifetime of the products but the fabrics/leather are only covered for 1 year. Broyhill warranty does vary between parts so be sure to talk to your dealer so you know exactly what’s covered before you purchase. My Final Thoughts on Broyhill Furniture! Broyhill are one of the oldest brands in the industry and the strong values have remained throughout their entire life. They’ve overcome a lot of the challenges of the last 100 years and survived through depressions and economic downturns. This is due to their work ethic and dedication to provide good quality furniture. If you are looking for other furniture companies that share this sense of work ethic I suggest you take a look at Vanguard furniture and Bel furniture as well! Broyhill are providing value with their well made furniture and large range of choices. They allow the customer to make the unit their own and most suitable for their home. 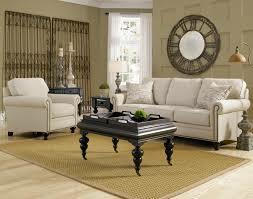 Hardwood is always the way to go wherever possible so if you’re looking at Broyhill then search for those options. 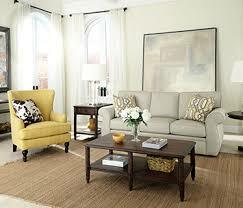 Overall Broyhill is providing good furniture at a competitive price, giving value to your home.